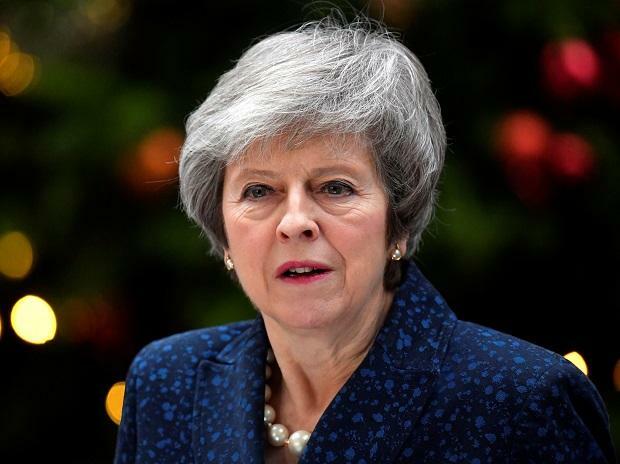 Prime Minister Theresa May is set to see her Brexit deal rejected in the biggest Parliamentary defeat for a British government in 95 years after her last minute pleas for support appeared to fall on deaf ears. The battle now is over not whether May loses, but how badly. At least 70 of her Conservative Party, as well as sometime allies in the Democratic Unionist Party, are publicly pledged to join opposition Members of Parliament in voting against her agreement Tuesday. That would translate into a defeat by a margin of 150 or more, the largest in over a century. Even if some abstain, a defeat by more than 100 would be the worst since 1924. May postponed a vote before Christmas in the hope of winning over Parliament with new concessions from Brussels over the so-called backstop intended to ensure the post-Brexit Irish border stays open, but EU leaders’ letters of reassurance were treated with scorn in the House of Commons Monday. Markets and the EU will be watching the result of Tuesday’s votes, scheduled to start at 7 p.m., and the margin of a government defeat will affect how they both respond. A defeat by more than 220 votes could see sterling fall to $1.225, according to Neil Jones, head of hedge-fund currency sales at Mizuho Bank. Meanwhile, anything larger than a defeat of about 60 would probably mean the agreement is close to death and the negotiations will be in uncharted waters, several EU officials said last week. Less than that and the bloc may look at fresh ways of making the agreement more palatable to get it across the line, the officials said. Instead, the prime minister’s opponents, both those who want a harder Brexit, and those who want a softer Brexit -- or none at all -- were eager for the next phase of battle. Former Foreign Secretary Boris Johnson welcomed the imminent demise of the deal and said he would support a no-deal divorce “with zeal and enthusiasm” once it has failed. Former minister Nick Boles, meanwhile, set out a plan by which senior MPs would take control of the Brexit process if the government couldn’t get anything through Parliament. And he said that if they couldn’t agree, Britain’s departure from the EU, currently set for March 29, should be delayed. Government whips worked Monday to try to find ways to minimize the scale of the defeat. May’s office was said to be considering backing an amendment that would put a time limit on the controversial Irish backstop clause -- even though she told lawmakers such a move would not be accepted by EU negotiators. But Steve Baker, a lead organizer in the pro-Brexit European Research Group of Tory MPs, angrily rejected overtures from government whips and denied reports that his members were softening their line. “We plan to vote no to everything: All amendments and the main motion, whether or not amended,” he said on Twitter. At the same time, opponents of May’s deal looked to ways to maximize the scale of her defeat in an effort to move the debate on. Hilary Benn, a Labour lawmaker and chairman of the Brexit Committee, was under pressure to withdraw an amendment he proposed last year which had been designed to show a Parliamentary majority against a no-deal divorce. With that already proved by votes last week, opponents of the deal said it risked May being defeated by too small a margin. The Sun newspaper reported that May is planning to force a second vote on her deal if she is defeated as expected on Tuesday after a call with Angela Merkel on Sunday. The German chancellor promised to help win concessions from the bloc, the newspaper reported without saying where it got the information. There was a blow for people campaigning for Britain to stay in the EU when Jeremy Corbyn, leader of the opposition Labour Party, used a meeting of his lawmakers to criticize the EU’s commitment to the “neo-liberal” economic model. There was one sliver of hope for May during Monday night’s debate. Desmond Swayne, one of those pledged on to vote down the deal, said he might back it to ensure Britain leaves the bloc. He wanted to avoid voting alongside “those who are there because their strategy is actually to prevent Brexit at all,” he told lawmakers. While he dislikes the deal, it “is better than staying in the EU,” he said.